None of the team behind Passive House Plus has the good fortune to live in a passive house – at least not yet – meaning our promotion of passive house comes with more than a hint of “Do as I say, not as I do”. That’s emphatically not the case with certified passive house designer Helena Fitzgerald, who chose to practice what she preaches with her own home, to stunning effect. With social housing tenants let down by substandard energy efficiency requirements under UK building regulations, some switched-on housing associations are taking matters into their own hands and building to the passive house standard. Broadland’s first certified passive scheme in Norfolk is a significant step on one association’s journey towards social housing fit for the 21st century. Not every site lends itself towards passive house, or so the story goes. Intent on making the most of spectacular views to the northwest, Rob Davies and Amy Staniforth’s ecological self-build shows that passive house can overcome orientations that turn their back on the sun. 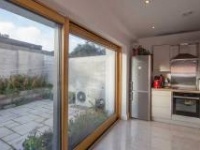 While Ireland’s minimum energy performance regulations for dwellings have come on leaps and bounds in recent years, standards for non-domestic buildings have remained untouched. Which makes forward-thinking media production company TVM’s new ultra low energy HQ all the more impressive. A building doesn’t have to be designed as a cube to meet the passive house standard, but it helps. 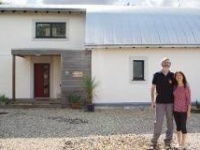 This as yet uncertified passive house in Carlow shows that, climate permitting, less compact designs can be made passive – by pushing the envelope. When it comes to actual energy usage, modern buildings rarely perform as expected, with many notionally low energy buildings falling disappointingly short. As discussion continues about how to solve the performance gap, one pioneering Welsh passive building has a different kind of performance gap – it’s using 40% less energy than anticipated. The winner of the Social/Group Housing award at the 2013 UK Passivhaus Awards, Lancaster Cohousing’s Forgebank development in Lancashire is riddled with green features. Not only are all of its 41 homes passive house certified – it scores top marks in the UK’s Code for Sustainable Homes too. Building a passive house school is a big achievement, but the team behind Oakmeadow Primary School in Wolverhampton have done something even more formidable — they built one when they weren't even asked to, and they did it for a conventional budget. Built on a tricky site in the seaside town of Salthill, Co Galway, Ireland’s first semi-detached passive house development is designed to meet the needs of three generations from the same family. A new timber frame house in Co Cork doesn't just meet the passive house standard, it does so for an impressive price. Construction has begun on what is expected to be Ireland's first certified passive house pharmacy. The project in Clonmel, Co Tipperary, was designed by Paul McNally Architecture. One of the UK’s first nondomestic buildings to gain passive house certification, the Simmonds Mills designed Green Base centre is an embodiment of the environmental ethos it seeks to promote. 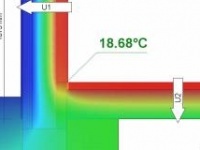 With a target as exacting as the passive house standard, circumstances can conspire against meeting every criteria. Architect Sam Mays describes a Co Wicklow home that hit every passive target except one when the builder went bust. A stunning location, thoughtful design and a certified passive house: a new home in the wooded hills of the Scottish Borders manages to have its cake and eat it too. Ireland’s most energy efficient building? 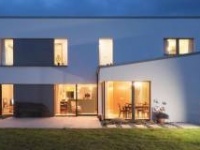 A new house in Wexford is the first in the country to achieve an A1 Building Energy Rating and certified passive house status – arguably making it the most energy efficient building yet built in Ireland. So why did a regulatory flaw risk rendering it non-compliant?